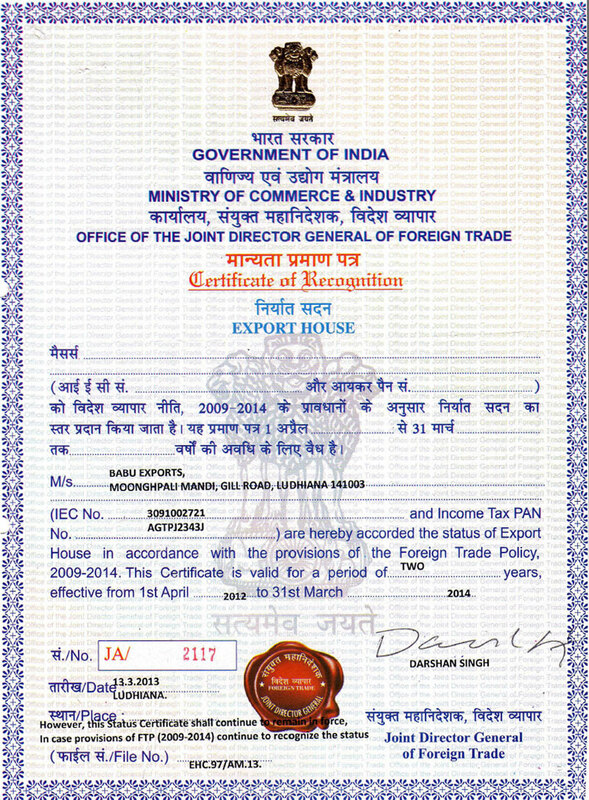 Babu Exports, a leading name in the export products in India. Our Company, has been assisting the Indian economy in the area of Threaded Rods, Thread Bars and Thread Studs, Strut Support Systems, Channel Bracketry, Precision Fasteners i.e. Nuts, Bolts, Washers etc and Sheet Metal Components, through its supply of its products not only in domestic market but also in International Market. We are exporting our products to more than 30 countries all across the world. i.e. United Kingdom, USA, Australia, Spain, Kuwait, U.A.E., Saudi Arabia, Jordan, Israel, Yemen, Egypt, Greece, Indonesia, Sudan, Malaysia, Brazil, Chile etc.